1. Desgin a logo in black and hvite. 3. 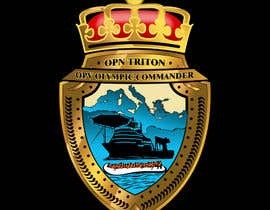 The background of the crest most have the mediterranean sea in the background like the logo added. 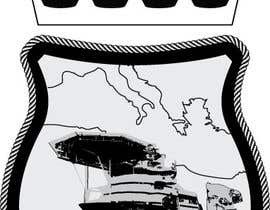 4. the small rubberboat should be in front of the ship showed in the added logo (fill some of the life jacket with oragange color. 5. remove the wings of the crest, and texst. keep the crow and crest. Could you explain please what is wrong in #29"?